Weather Rain starting tomorrow afternoon and windy starting tomorrow evening. 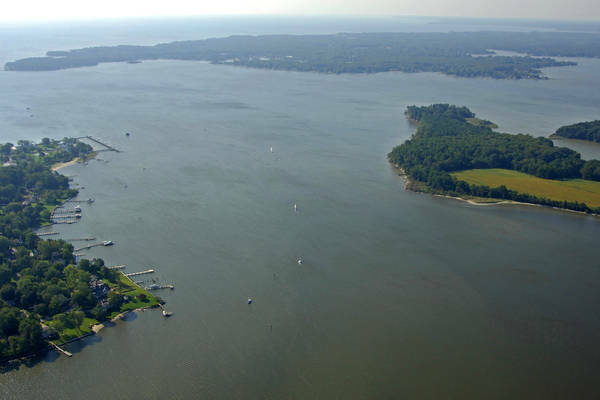 The Rhode River is located on Marylands Western Shore about six miles south of Annapolis at its confluence with the West River at Dutchman Point. 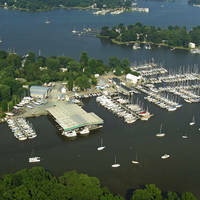 The Rhode River is a wildly popular getaway spot for visiting and local boaters alike. The quiet setting and marsh lined shores set up an ideal place to anchor for the evening and enjoy the sights, sounds and wildlife spectacles within the marsh. 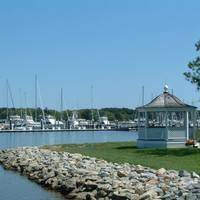 There are several marinas up the Rhode River and its tributaries, and a couple of them are capable of most any repair if you need it. The Smithsonian has a research facility here. 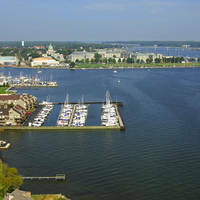 Rhode River is approached from its confluence withe the West River off of the Chesapeake Bay. From the Chesapeake, set a course for flashing green buoy 1A just north of the shoal extending from Curtis Point to the south. 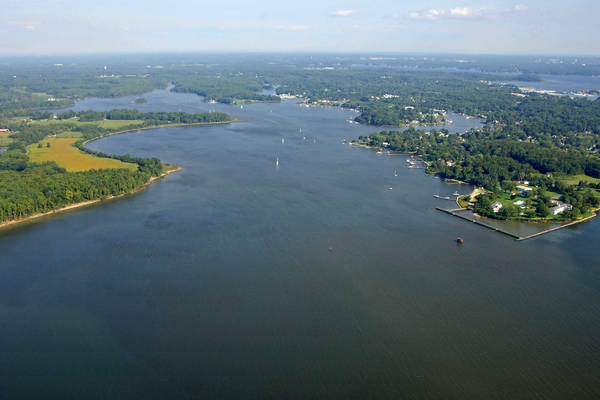 From here, head to flashing red 2 (note shoal) in the middle of the Rhode River/West River conjunction, and then head for the flashing red 2 at the mouth of the Rhode River near Dutchman Point. Cadle Creek is just upriver on the right, and a series of well-placed daybeacons guide you the rest of the way into the river. No reviews yet! Be the first to write a review of Rhode River Inlet.